Jardin wasn’t able to help on those days, but she looked for someone local to help. Photographer Laurent Demartini volunteered and spent that time with Coombes on the streets of Paris. Yet she and Coombes stayed in touch, Jardin determined to one day tell his story through her lens. Finally, in September 2017, the pair met in New York. Working with Coombes, Jardin says, was emotional, exhilarating and transformational. Coombes first got the idea for #DoSomethingForNothing when he was chatting with a young homeless man on the street in London. “It just came about one day,” he says. 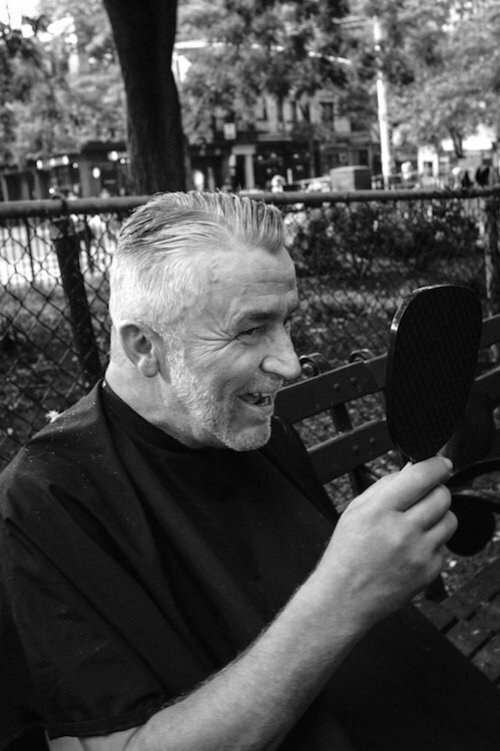 He’d chatted with the man before, but this time, as they talked, Coombes noticed his ragged, matted hair and thought a haircut might lift his spirits. Coombes had his supplies with him, so he asked the man if he’d like a trim and got to work right there on the spot. That moment sparked the idea that led to an incredible international journey. 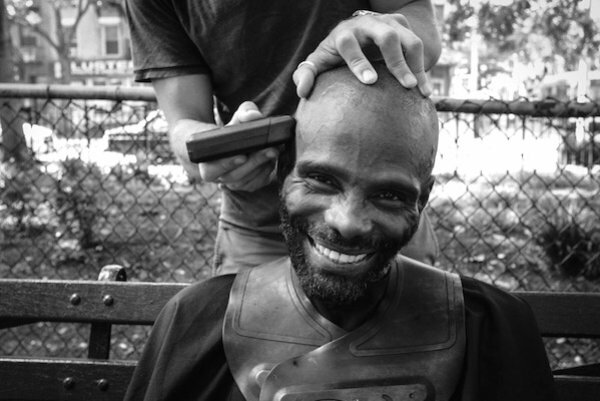 Since then, Coombes, along with his scissors and his message, have traveled and trimmed around the globe, connecting with people on the streets, from London and Paris to Mexico City and New York. Coombes says the movement is not about haircuts. Or homelessness. Or photographs. It’s not even about giving back. Rather, he says, his #DoSomethingForNothing movement is ultimately about making time in a world full of distractions to notice the people around us and lift them up — to be a beacon of hope in the present moment. Working together in the Big Apple, the friendship between Jardin and Coombes blossomed and plans took shape for production of an eBook highlighting their experience, along with inspiring stories from the streets. 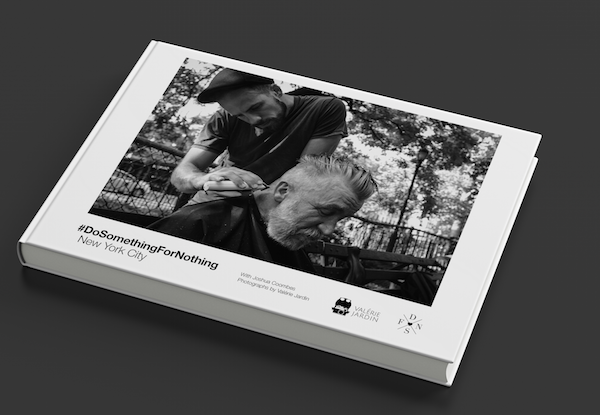 Proceeds from the publication, titled #DoSomethingForNothing New York City, will help Coombes continue his outreach around the world. Their partnership is heartwarming, inspiring and a visual testament to the power of human engagement. Partnering with Jardin on #DoSomethingForNothing has gone a long way towards amplifying his message and sharing stories from the streets, Coombes says. 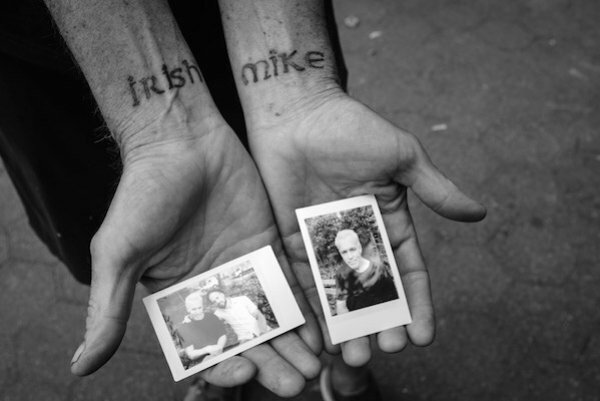 “A huge part of this movement is storytelling. What a better way to do that than through photography?” he says. Canadian photographer Ian MacDonald praised the project in a recent blog post. Through his former career as a paramedic, MacDonald says, he knows very well “how just a small amount of compassion and respect can go a long way towards lifting somebody us." 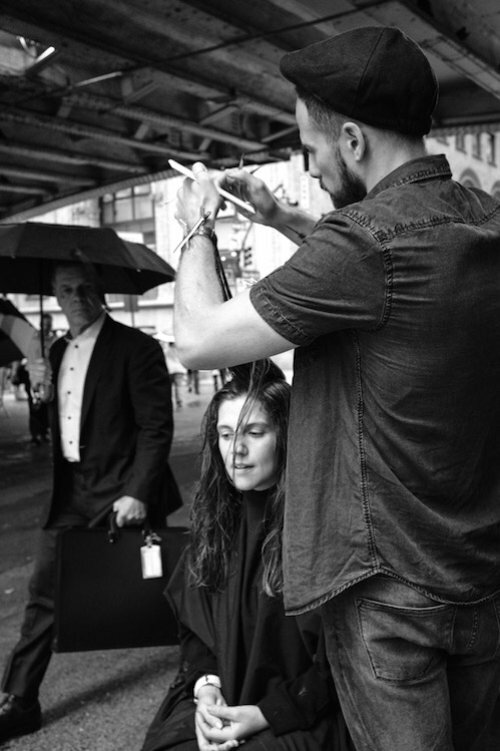 Jardin, an official Fujifilm X-Photographer, documented the interactions between the hairdresser and his impromptu clients with her Fuji X100F while Coombes worked his magic — smiles and conversation spilling out onto the streets like sunshine. Jardin also used a Fujifilm Instax mini printer connected via WIFI with a smart phone to give people instant photos of themselves sporting their new hair styles. The New York City project was made possible by Fujifilm North America Corporation, which brought the pair together. 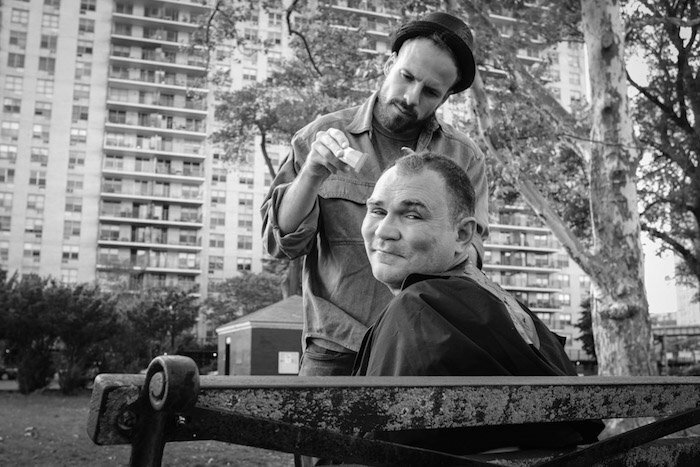 It was a beautiful sunny day in New York City’s East Village when Coombes sat down on a bench next to Tony Sánchez, a man he’d never met. Coombes said he had no idea Sánchez was sleeping on the street until after they began talking and he learned that Sánchez is fighting cancer. “I just got back from my last hospital appointment,” he recalls Sánchez saying. “It’s not getting any better, but it’s not getting any worse. I just wanted to talk to someone. You know, I’m happy on days like this. It’s beautiful out here. It would take a really bad mood to not feel happy today." A few minutes later, Jardin arrived in the East Village. As Coombes explains in the eBook, it was their first encounter after almost two years of exchanging emails. They caught up for a few minutes, then wasted no time getting to work. What’s next? Jardin and Coombes are busy promoting the eBook and plan to continue working together wherever possible. A photography exhibition may also be in the works. Coombes often utilizes partners wherever can, such as British veterinarian Jade Statt, a director of Street Vet Ltd., to offer free health checks of dogs living on the streets with their owners. In addition, Jardin is donating $25 for every Valérie Jardin Limited Edition Streetomatic camera bag by Cosyspeed with order information available here. See more at Facebook and Instagram. Gina Williams is a Portland, Oregon USA-based arts & culture journalist. She covers photography and photographers internationally. Learn more about her and her work at GinaMarieWilliams.com and follow her photography and travel blog at AccentsandApertures.com.